Handle anything the road brings, even when it ends. 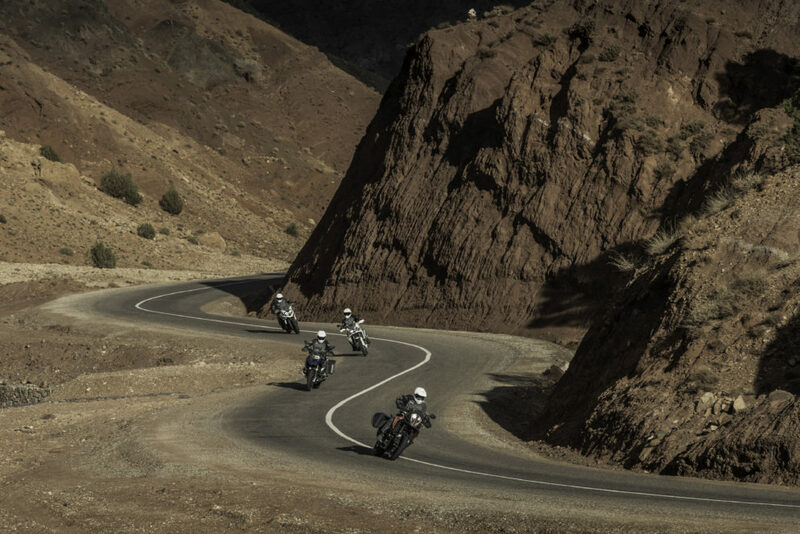 What do you look for in a tyre when you’re hunting far-flung horizons? Trust? Confidence? Of course, we understand. 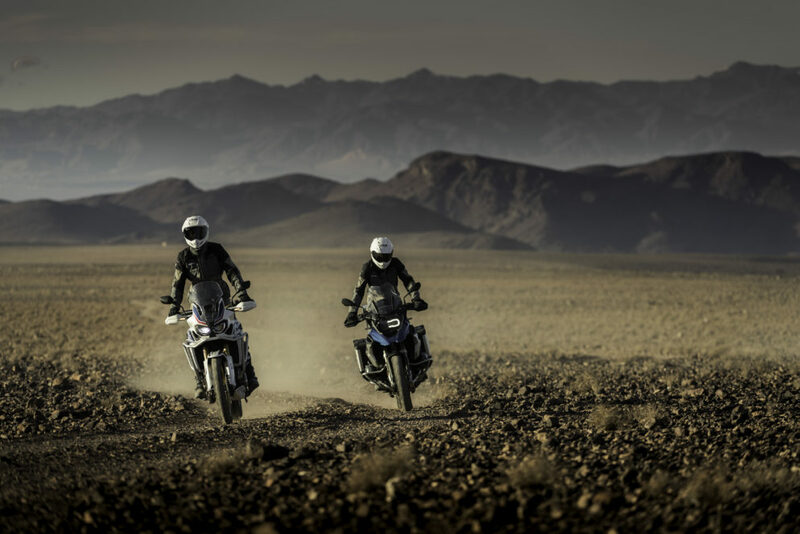 When developing the new Battlax Adventure A41, we didn’t want to settle for less than a package that offers total control from the driest dessert roads to the windiest (or wettest) mountain passes. For thousands upon thousands of miles. And those are not just words. 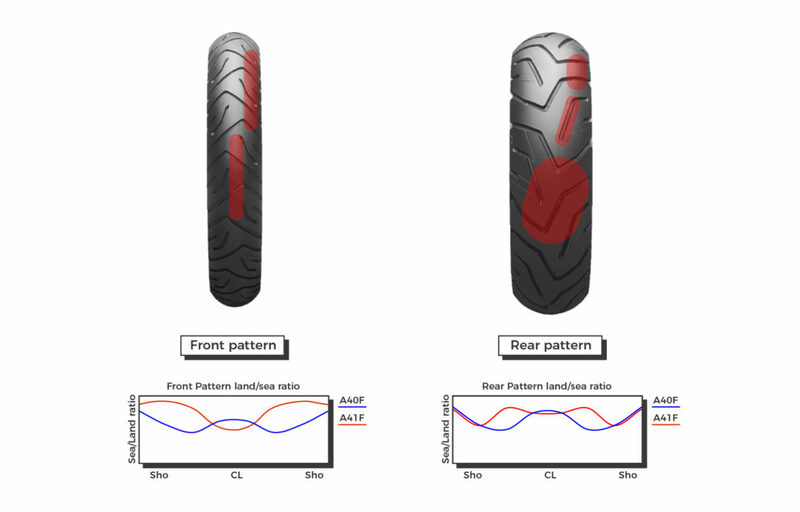 By adopting multi-compound layer technology for the rear tyre in a cap-and- base configuration, by implementing an innovative pattern design and by means of a newly developed groove positioning, both water drainage and grip levels skyrocketed. Even in very low temperatures. And this is without sacrificing the mile- munching and fun-loving nature of its A40 predecessor. And there’s more. 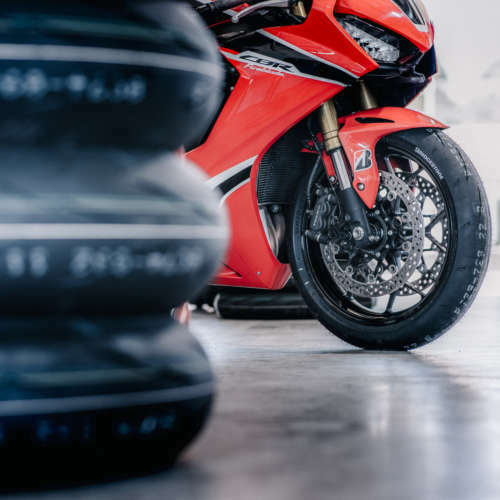 Adopting the mono spiral belt construction and a revised case, Bridgestone R&D went all out to achieve a better contact feel, no matter the surface, and super planted feeling of high-speed stability. So go, chase that adventure. We’ve got your back. • 3LC compound improves grip in wet and dry conditions, while keeping wear-and- tear in check. 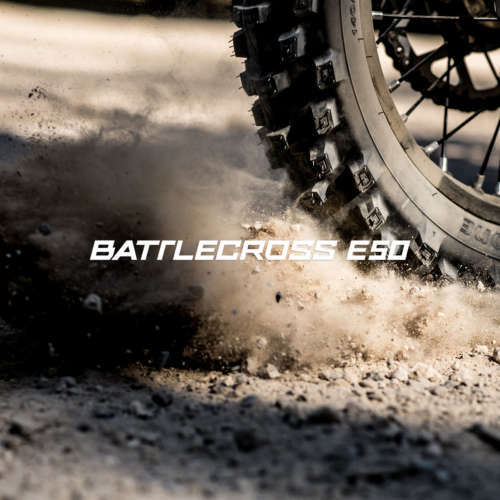 Ultimate Eye is the newly developed indoor testing facility by Bridgestone R&D. 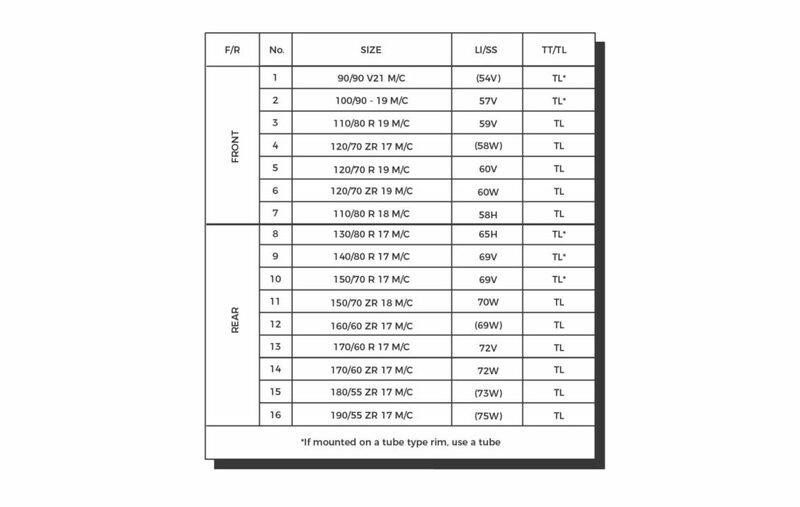 The facility allows visualization of the contact behavior of a tyre under various speeds and conditions, which helps to find the best combination of compound, tread design, construction and profile. 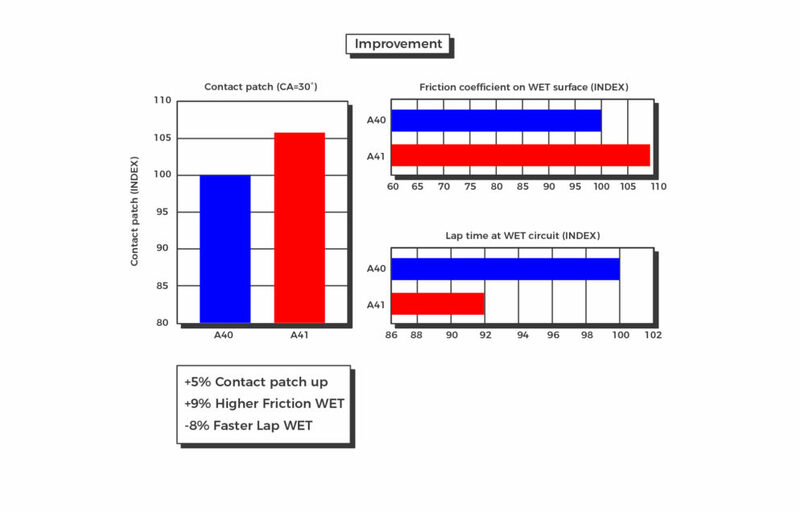 In the case of Battlax Adventure A41, we recorded a 5% larger contact patch, 9% more grip in the wet and and 8% faster wet lap time. You never know what the horizon brings. 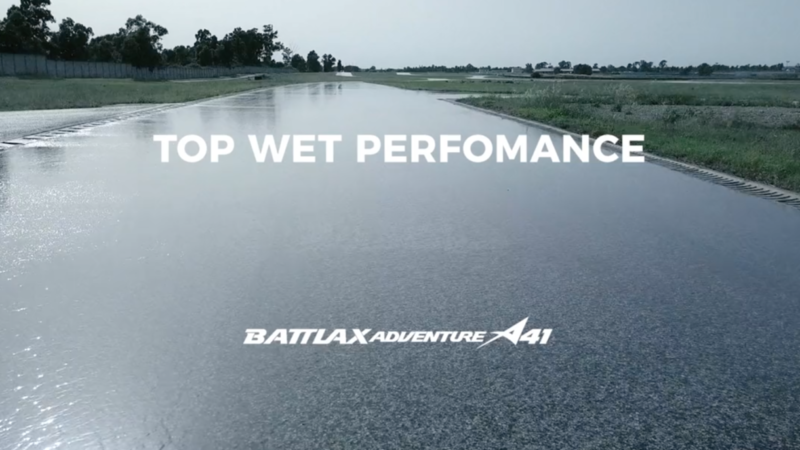 In the case of torrential rain, we have your back with #Bridgestone Battlax Adventure A41. And your front.